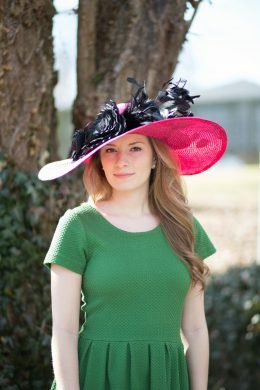 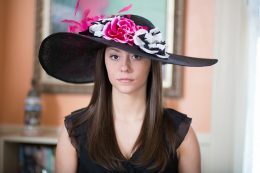 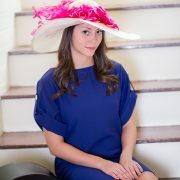 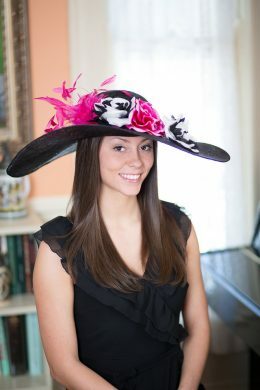 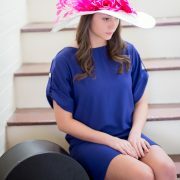 Cate’s Fuchsia Mist is a great choice for the Kentucky Oaks, Easter or a summer wedding. 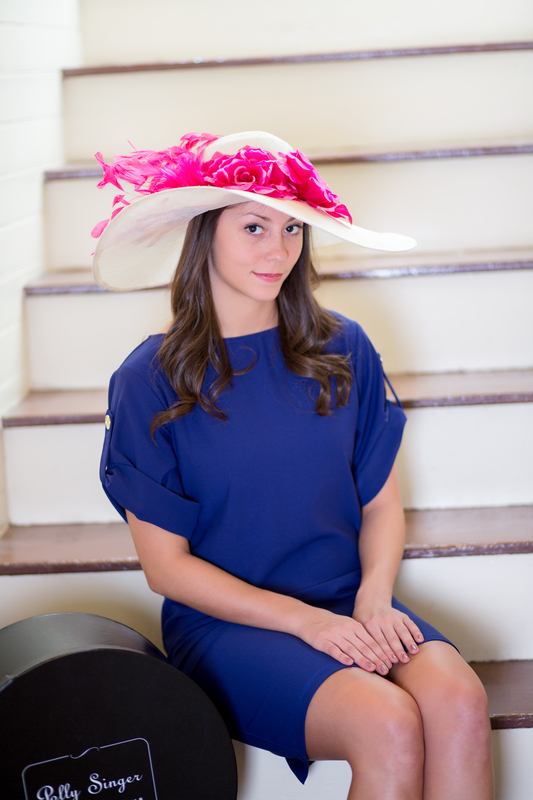 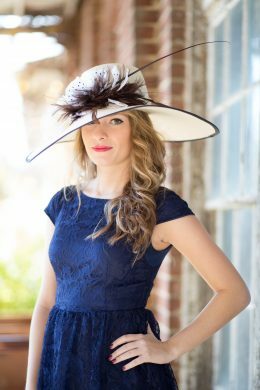 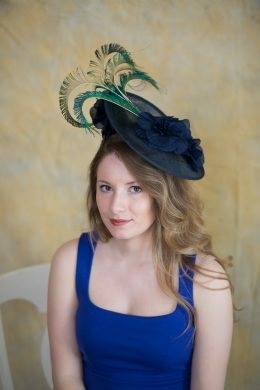 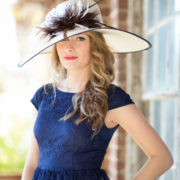 This hat has an ivory parisisal hand blocked hat with 6.5″ brim. 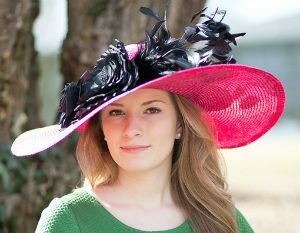 Cate is trimmed with fuchsia silk roses and a fuchsia coque feather spray that dances in the breeze. 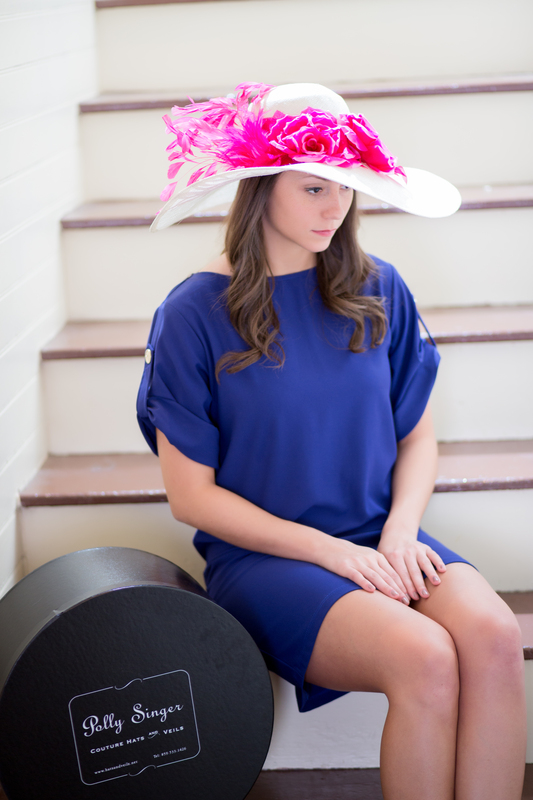 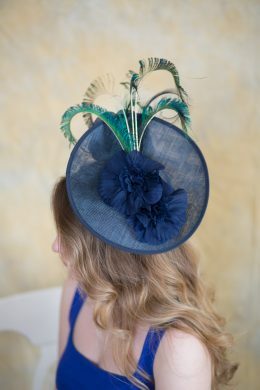 Always a popular choice that works with most outfits.